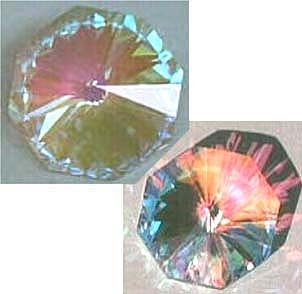 StarFlower Old Style 28AB With Beads OR 28VM at Sundrop Crystal Gifts- Swarovski Crystal Prisms and More! Beautiful dark colored VM! Sorry, AB sold out. BUT we still have a limited quantity of the AB crystal with a Rainbow of Beads! Very Pretty!